Discover Cool "Webmaster Stuff" You Never Knew! lmost a Newsletter is an award-winning, original content ezine about web design, website promotion and marketing, and life design. Most readers subscribe for the webmaster tips, but many come to love the life design tips even more. Whichever camp you fall into, you're sure to learn from it and be entertained at the same time. Changing list hosts. Will post a new signup form soon. You have to give the award to Almost a Newsletter for the name alone. Actually, I chose it because it's the best example of a publication that is both entertaining and informative. The publisher - Boogie Jack - is one of the more colorful characters on this planet. But what makes him really stand out from the rest is that he has the readers' interests firmly welded to his heart. There's something for everyone in this newsletter, whether beginner or professional. So expect to see website design and management tips interspersed with wit and wisdom of a broader kind. And if you want to know what I mean when I say the Web world could do with a few more Boogie Jack's, see the interview I did with him. 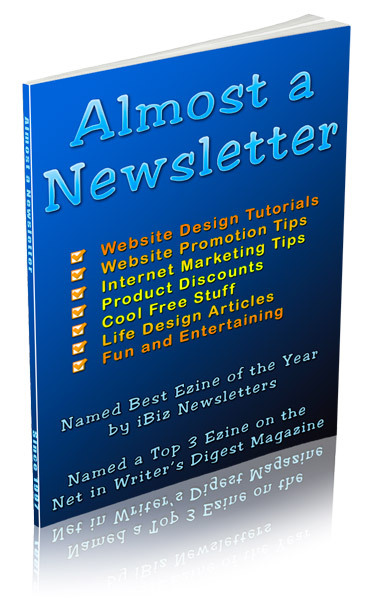 A few years ago Almost a Newsletter was named one of the top three ezines on the Internet in Writer's Digest Magazine. It's only gotten better since then! Published by the hilariously funny Boogie Jack, this one offers some great tips for novice Internet users as well as experienced web site owners. 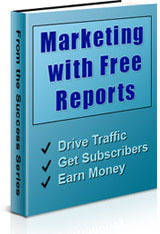 This special report shows you how to drive traffic to your website, how to grow your mailing list, and how to earn money giving away short reports you can create in an hour or less. There is no cost to you in using these methods to drive traffic to your website unless you hire someone to do it for you. 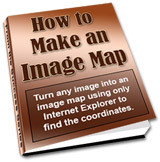 This little gem of an ebook shows you how to make an image map from any image using only Internet Explorer to plot the coordinates. 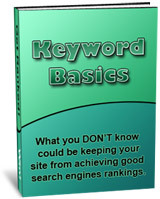 If you don't understand keyword basics the chances are very good your sites will never rank well in the search engines. Get up to speed with this ebook and watch your websites steadily climb higher in the search engine rankings. Humor aside, [Dennis] Gaskill (Boogie Jack) puts out plenty of useful information about the Internet and how to use it effectively, and often delves into little offbeat corners and comes up with promo tricks that others overlook. His newsletter is worth subscribing to for content alone -- although it is obviously not aimed at the laughter-impaired. Your email address will never be sold, traded, given away or otherwise shared with third parties. Unsubscribing is automatic, instructions are in each notice. All original content you won't find anywhere else. Web design and promotion tips from a published author on the subject. Discounts on software and ebooks several times each year. Subscriber questions answered in every issue. Helpful tips on a variety of topics that save you money or make life easier. Injected with humor to make traditionally dry topics more tasty—still no calories! Thoughtful "life design" articles that help you discover secrets for living a happier, more effective life. Discover quality resources you never knew existed. ...and of course, Three Great Free Gifts just for giving Almost a Newsletter a try! Over 10,000 other people are in. Subscribe now so you won't miss an single action-packed adventure of our intrepid hero's daring explora ... um, I mean, so you won't miss a single issue!